The Shopping Queen: Myer Haul! I splurged a little yesterday as Myer have started their mid-season sale and there were so many discounts in the beauty department! I bought a few things but I won't be able to show them all to you today as some of the things I bought, are actually for an international swap that I'm doing with someone and I don't want to ruin the surprise for her! (check out her blog at minandmegs.blogspot.com.au). Megs and her friend Min are Canadian bloggers who do not use products that have been animal tested and products that contain phthalates (fragrances) or parabens. 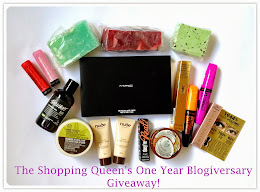 I had an amazing time looking for beauty products that ticked all the boxes. I've been wanting to try this out as it claims to "attack blemishes, cover up redness and blends in with skin". I'll do a review of it once I've used it for a little while. 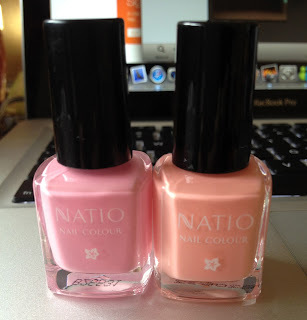 This was $9.95 RRP but I got all my Natio products for 30% off yesterday. 2. I picked this up at Illamasqua. I thought it was an eyeliner but after reading some reviews online, I think the medium pencils are also lip safe? I won't be using black on my lips though! This was $12.50, discounted down from $20. 4. On the way out of Myer, I spotted this and I had to have it! 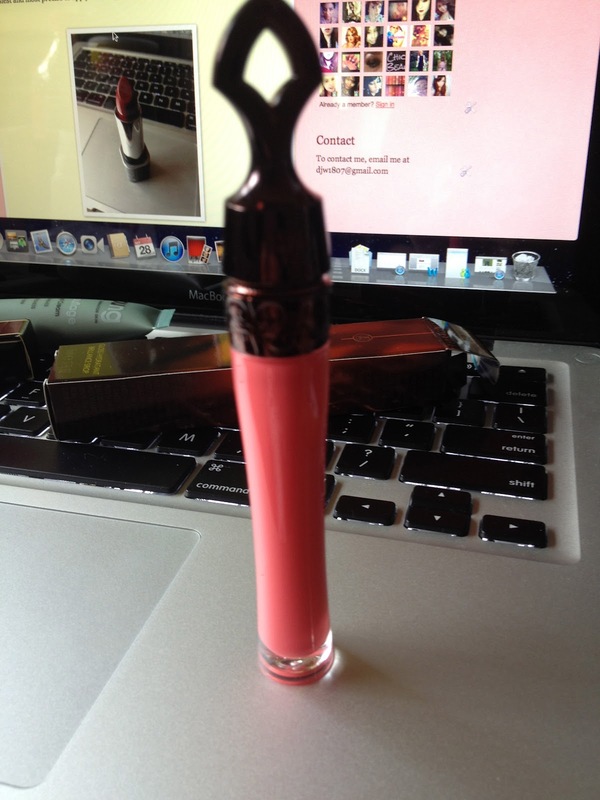 It's the Guerlain by Emilio Pucci Terracotta Gloss in Porto Fino. It's a gorgeous pink coral colour and swatches beautifully! The photos do no justice. Check out the lid! It's so pretty. The RRP was $46 but I got it for half price at $23. 5. Bloom lip balms. I snapped up the peach and grapefruit ones for $5 each (RRP $10). They smell amazing! Group photo: forgot to add the Bloom lip balms in. wow great haul! looks like i need to pay a visit to Myer! I was so happy after shopping yesterday! I normally give Myer sales a miss but this was too good to pass up! 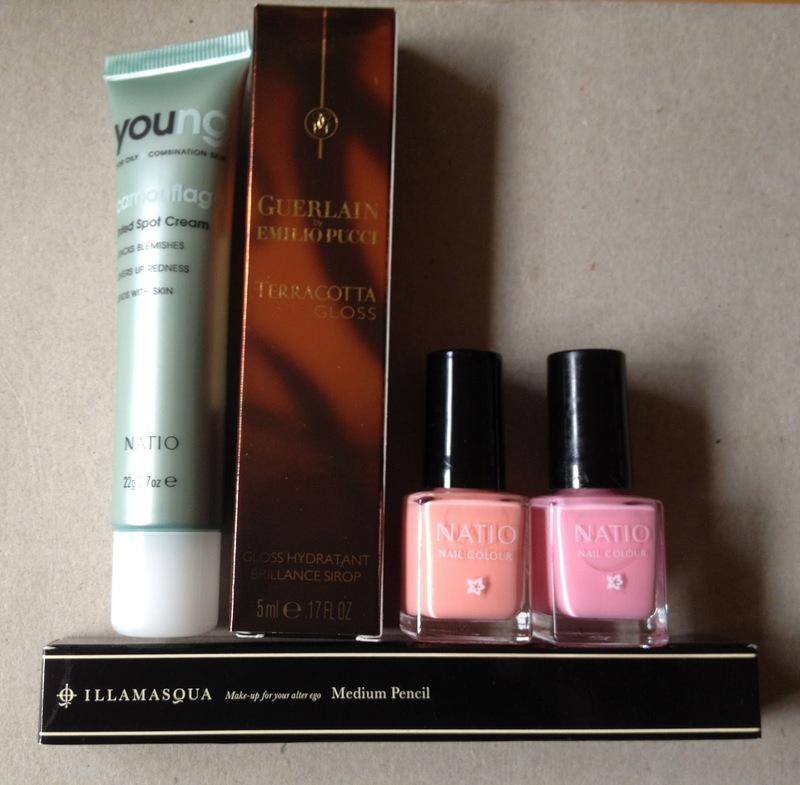 I did a haul at Myer yesterday too! 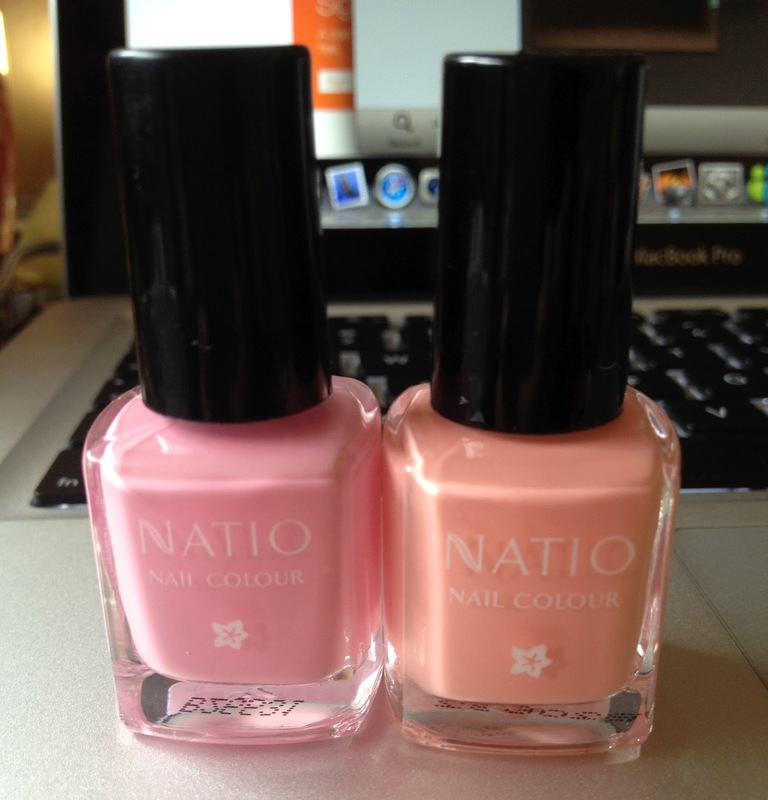 I also picked up some stuff from Natio, I haven't tried their nail polishes though! Great haul Jen! Your Guerlain gloss looks so pretty!! Thanks! I almost didn't buy it but I swatched it in store and had to have it! It looks even better swatched! The nail polish colours look amazing. I was so hesitant in buying them but they are so cute! omg... this guerlain gloss looks just gorgeous! It's amazing! I wish I could get it in a lipstick!